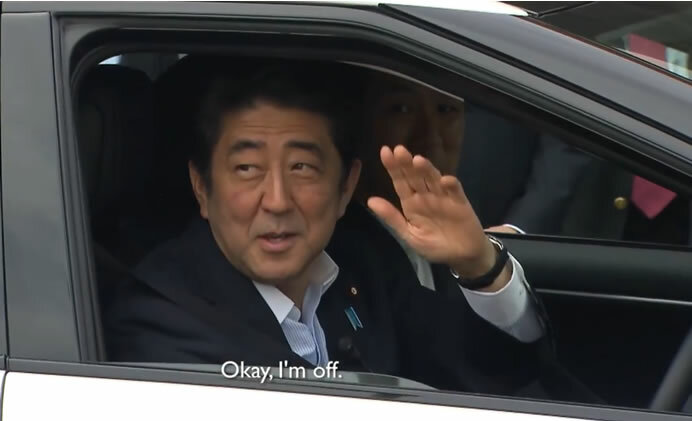 On July 18, Japan’s Prime Minister Shinzo Abe became one of the first people to experience Toyota’s upcoming fuel cell sedan when he drove the vehicle at a hydrogen station in Kitakyushu, Japan. 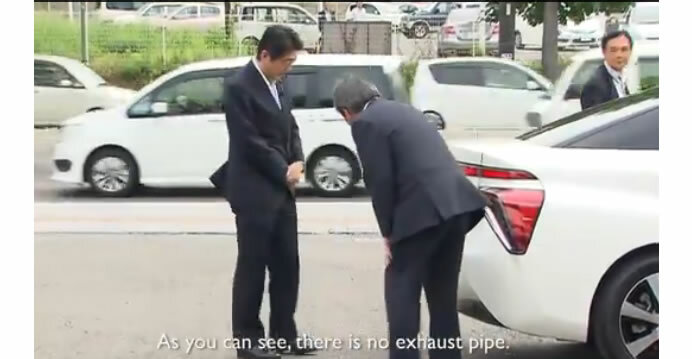 Giving his thoughts on the sedan, Prime Minister Abe noted that acceleration was particularly impressive, and commented that fuel cell vehicles are very friendly to the environment. 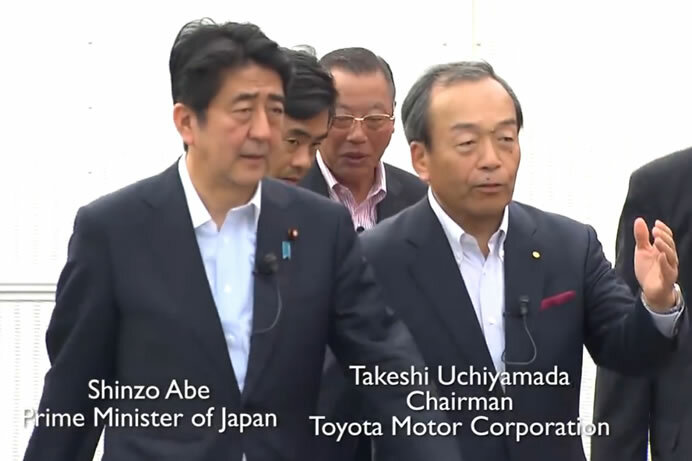 Japan’s Prime Minister Shinzo Abe also expressed the government’s support for the development of hydrogen infrastructure in Japan. Hydrogen is a particularly promising alternative fuel since it can be produced using a wide variety of primary energy sources, including solar and wind power. When compressed, it has a higher energy density than batteries and is easier to store and transport. Toyota will launch the car in Japan before April 2015. 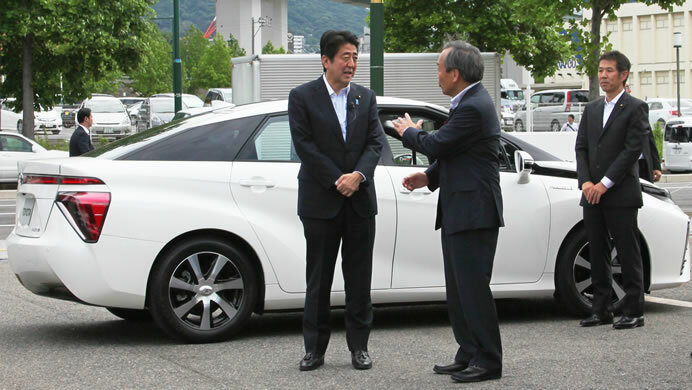 In Japan, the fuel cell sedan will go on sale at Toyota and Toyopet dealerships, priced at approximately 7 million yen ($67995). Initially, sales will be limited to regions where hydrogen refueling infrastructure is being developed. Preparations are underway for launches in the U.S. and European markets in the summer of 2015.